A few weeks back, Kosmo Foto reported the latest high-tide mark in the ever-rising price for premium compact film cameras. One London camera shop, Sendean, listed a Contax T3 for sale at the list price of £1,900. 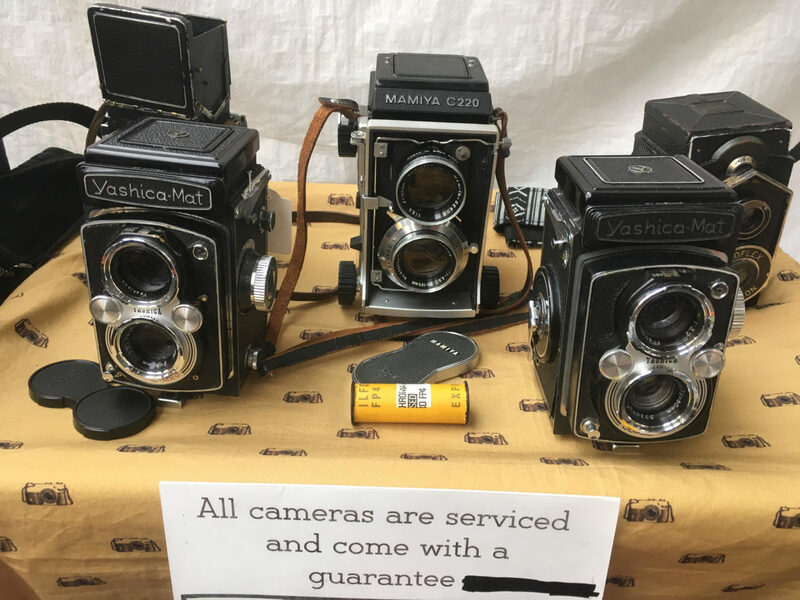 Kosmo Foto has written before about the issues with premium autofocus compact cameras, whose price continues to climb thanks to their adoption by celebrities such as Kylie Jenner. These premium compact cameras – also including the likes of the Minolta TC1, Nikon 35Ti, Contax T2 and Yashica T4 – are incredibly capable, but increasingly difficult to repair. The newest of them is up to 20 years old, spare parts are getting harder to find, and their complex electronics prove more likely to fail with every passing year. So Kosmo Foto has decided to put together a list of what else you could buy right now for £1,900. It doesn’t include postage, and the items were correct at time of writing (Monday 4 February). It just goes to show you there’s a whole lot of film photography equipment out there for a fraction of the price of the overheating T3. Bellamy Hunt’s medium format version of his first film, a slightly-IR panchromatic black and white film perfect for street photography and sure to delight anyone who misses Fuji Neopan. Sam Cornwell’s ingenious invention brings the world of solar photography into a pint-sized receptacle. Nail it to a post, tree or other inanimate object and you can capture glorious long-exposure shots of the Sun. 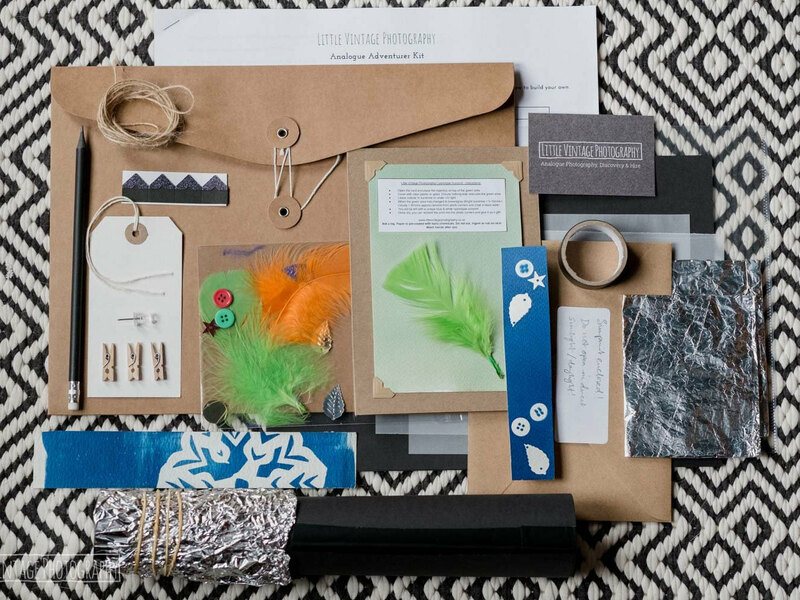 Rachel Brewster-Wright is a champion of all things analogue in the UK, and her Analogue Adventurer Kit is the perfect gateway into the world of film – it’s a kit to build a pinhole viewer and way of capturing solar photographs, using only the power of the Sun. A simplified Minox 35mm camera, swapping the rangefinder for Olympus Trip 35-style distance settings. From one of the best used dealers in the UK, too. Liverpudlian genius Steve Lloyd made a big noise last year with the launch of his hand-made Chroma large format camera – just add a lens and you’re all set to shoot large format! An updated version of Olympus’s much-loved XA2 viewfinder camera, the XA3 is much harder to find. Camera World have one now. Kosmo Foto’s own film, perfect for street photography, travel and portraits. Mike Padua’s notebook are designed specifically for film photographers, with space to note down film, camera, lens, and processing details. A really great idea at a nice price. Duble is a fantastic range of pre-exposed colour films masterminded by ex Lomography UK manager Adam Scott. My pick of the bunch is the warm and woozy Sunstroke. Simply have to have a premium compact. Well, you could buy nearly four of these cult classics from Nikon, if only Ffordes Photographic had four of them in stock, for the cost of one Contax T3 at insanity prices. Mr Cad’s Victoria store is an Aladdin’s cave of cameras, lenses, accessories and more. The VX1000 is a suitably old-school purchase; it’s regarded as one of the best cameras in the illustrious Exakta range. One quick jump across the pond, because less than £350 for an F5 body is a steal. One of the greatest 35mm SLRs ever made, for less than a fifth of the price of T3. A gym membership in camera form, the Kiev 60 is like a Soviet Pentax 67, and comes with fantastic lenses. Worth buying one of these brutes from a shop like Clock Tower to avoid some of the common minor faults such as wonky frame spacing. As previously featured on Kosmo Foto, the Lerouge family of pinhole cameras are gorgeous, handcrafted creations form a one-man operation in France. Greenwich Cameras – helmed by the lovely Sam and J – sell cameras, films and more at Greenwich Market and Spitalfields Market in London. Analogue Wonderland is one of the new players of the UK film retail scene, and one of the films from its array of more than 200 is Street Candy, a cash machine surveillance film turned into 35mm stills film for the first time, thanks to the film blog One Year With Film Only. 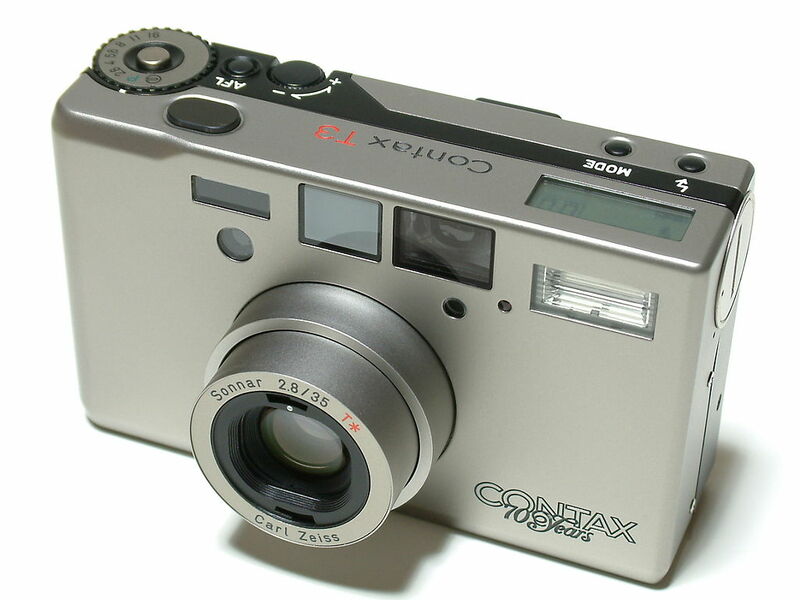 What would you buy for the price of Contax T3? Let us know in the comments below. b) An Olympus OM1 / OM2 or an SP or DC — five or them or, perhaps, even 10 if you’re good at ebay. d) Leica M4-P and a lens from Voigtländer or second hand hand from Leica should be less than £1900 and if recently serviced should outlive most owners. Mine will outlive me. That’s a pretty good list! Yep, and the M6 is likely to stay shooting for a lot longer! 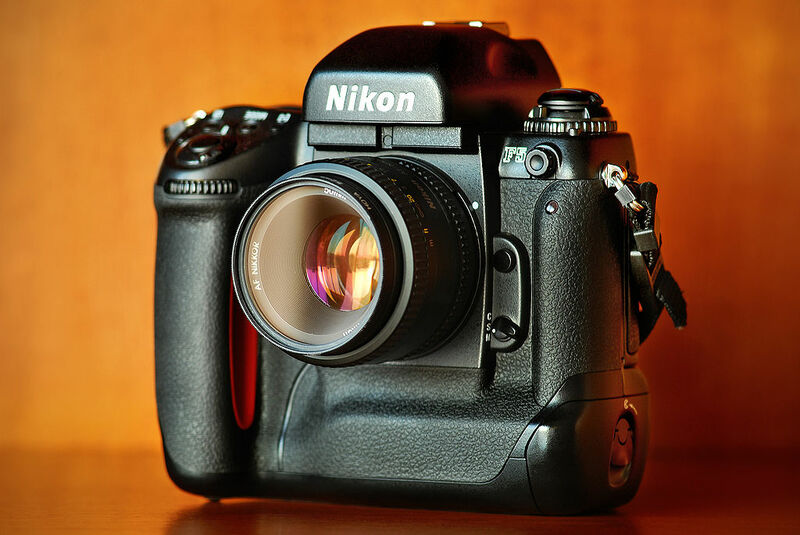 That Nikon F5 sounds like a winner…. The F5 is a lot of camera for that price.